Hokkaido is very popular among a lot of travelers from not only Japan nationals but also foreigners. There are lots of sightseeing spots such as great landscape of huge snow mountain in Shiretoko, seasonal and various kinds of flowers like Lavender in Furano, and metropolis city like Sapporo, Hakodate, Otaru, that has beautiful night views. Let’s check fun events held in each location in Hokkaido. 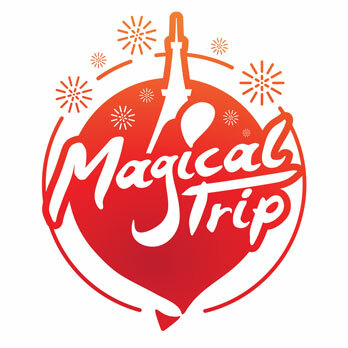 Please enjoy it with sightseeing. Hokkaido Jingu is the shrine where as many as 800 thousand of people go to Hatsumode (the New Year’s visit to the shrine) every year. There are many street stalls standing along in the approach to the shrine. Hokkaido Jingu is also famous for it’s beautiful Cherry Blossom and Plum. Surrounding by Maruyama Park and full of nature, Ezo Squirrel would sometimes show up to you. As one of the hugest scale of architecture in the Hokkaido, it is also famous as the Power Spot. It is said that there are good luck for the business prosperity, traffic safety, money, competition, love, marriage. In addition, there are limited merchandise it is very popular and can be purchased in the beginning of the year. It is named 「Dorei(Etosizu)」 and 「Shohuku Nibai Oyako Sukashibori」. It is the traditional crafts called Futaebori and good for souvenir. Please check that when you visit there. ・Name of Closest Station, the means for transportation and the required time to get there. 15 min walk from 「Maruyama Koen」 by Subway Tozai Line. ・The name of terminal station, and the required transportation time from the station. About 30 min by bus from Sapporo Station. 「Kanchu Misogi Matsuri」 is representative event of Kikonai. It is one of the traditional Shinto ritual that is handed down from more than 180 years ago in Samegawa Shrine. Praying for the rich harvest and large catch of fishes, 4 practitioner of austerities stay up 2 nights from Jan.13th to cleanse their body and holding off bad vibes. In the last day 15th, they jump into the Strait of Tsugaru with object of worship, and wash and clean it. 「Kanchu Misogi Festival」 is also held at the same time of the festival above, including various events. At the each festival places, Omiki (Japanese Sake) and some hot drink will be provided. The beats of Misogi Drum echoes through dark night in the stage of shrine. We can also enjoy eating good food such as rice cake made of rice grown in this local city. The local Yosakoi team also attends this festival to liven it up. It is really enjoyable event that allow us to forget coldness with heated atmosphere. About 10 min walk from 「Kikonai Station」 by Hokkaido Shinkansen. About 10 min walk from 「Kikonai Station」 by Donan Isaribi Railway. About 10 min walk from 「Kikonai Station」　by Hokkaido Shinkansen. This is winter event that held Shikotsuko Onsen located inside of national park, including huge ice sculpture made with full of natural beauty. In the event place, there are various kinds and size of ice sculpture standing around. In the daytime, it is illuminated with natural blue color called “Shikotsuko Blue” and with colorful lights illumination at night time. It is very whimsical. During the festival term, some events will be held such as fireworks, wedding party and other fun events. These will light up the night sky. It will be the 40th anniversary for it’s history, So 「Shikotsu Blue Festival」 will be held between Feb.21st ～　25th　in 2018 for celebration. If you will not be able to make it in Jan, it would be also worth to visit on Feb.
44 min by bus from JR「Chitose」station. There is a request for donations at the entrance. There are paid experience menu. Hyobaku Festival is held on as huge as 12,000 square meter of the place that has displays of Ice Dome, Ice Tunnel and Ice Pillar built by taking a long time for spraying water in freezing cold winter. In night, hole of the festival place will be illuminated by 7 colors and produce a dreamy and mysterious ice landscape atmosphere. It would be great view from the ice observation that has the height of 13m. There are maze and slider attraction that allow even children to have fun. There is also Rest room where we can rest and have hot drink and some foods and enjoy shopping. There is fireworks show during the festival terms. The corroboration of fireworks and dreamy ice objects will be great. There also Ice bar and Hyobaku Shrine which is very popular in every year. About 5min walk from 「Sounkyo Onsen」 bus stop from JR Kawakami Station. 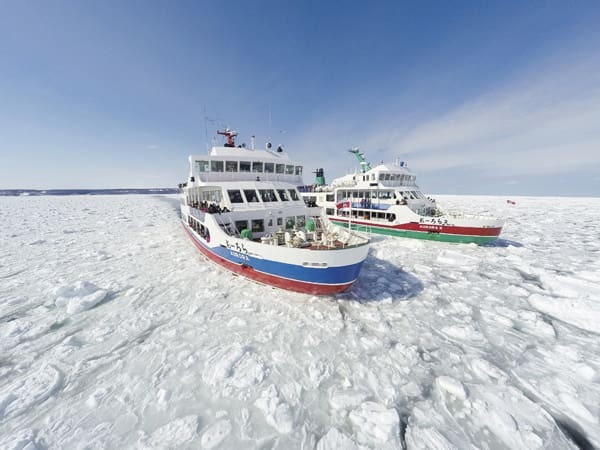 Garinko-go II Winter Season Operation is the pleasure cruiser that move in the Okhotsk Sea with breaking ice out of the way. We can enjoy the view of huge drift ice endlessly continuing on the ocean. Those ice are drifting from Amour River in Russia. We can also enjoy taking observation of wild animals such as seals and Steller’s sea eagles standing on the ice field. Let’s go through the oldest ocean in Japan, Okhotsk Sea filled with Ice and white taking Gachinko-go Ⅱ leaving the wake behind the ship. Gachinko-go Ⅱ has archimedes’ Screw on the front part. He goes forward while breaking ice. We can be exciting about it and forget the coldness. The time of departure is depending on the date. Just near by 「Kaiyokoryukan」 Bus Stop via 「Monbetsu」 Bus Stop. When you arrive 「Asahikawa Station」 on JR Hakodate Main Line, then change　it to urban bus. About 2h and 20 min from 「Kaiyokoryukan」 bus stop via Asahikawa Station. It is the popular cruising tour for sea of Okhotsk by Sightseeing Icebreaker ship 「Aurora」 and 「Aurora2」. We can see huge ice drifting from far away Amur River in Siberia. The bottom of ship often collide with huge drift ice and then, we can feel the ship’s vibration. It would be overwhelming! If you were lucky, you could see Seals on the ice field and White-tailed eagle over the ship. Sometimes, Red fox and Cervus hortulorum which usually live on the land could show up from the ocean. In addition, 「The Sunset Cruise」will be held in limited time between Feb. 9th ～ Mar.11th. of weekends and Sunday. 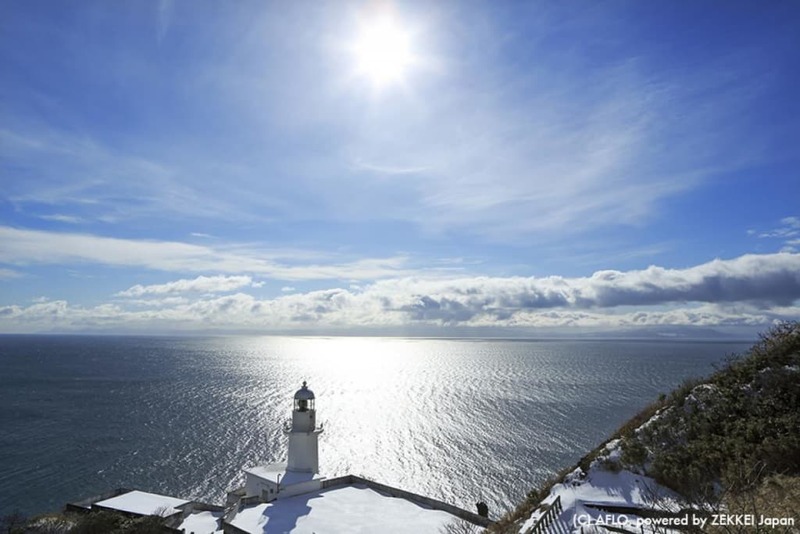 Abashiri is located in the north latitude 44 degrees, and Okhotsk coast is the southern limit where even sea would froze. Let’s enjoy drift ice that show up in the freezing cold Amor liver. Departure time will depends on the date. 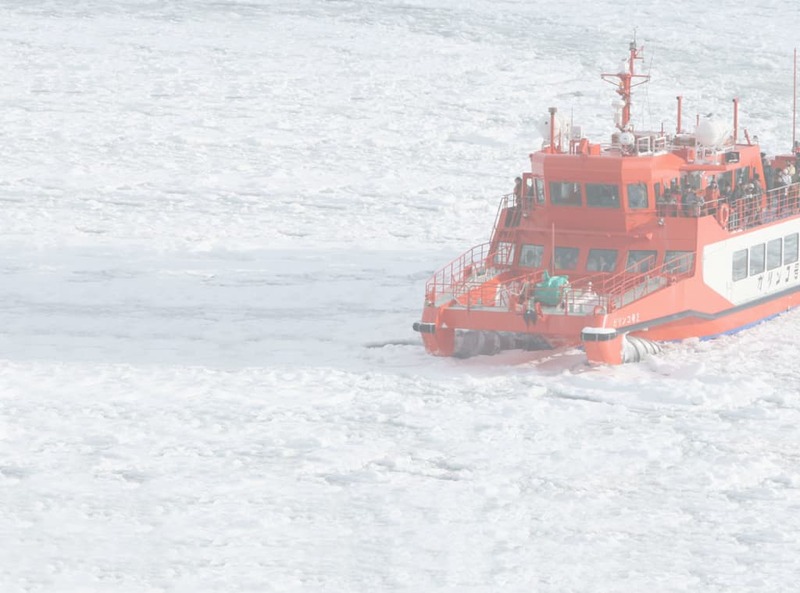 ※According to the condition of drift ice, the departure time would be changed or departure would be canceled. It would be maximum 1 and half hours cruising. After Mar.15th, the departure would be possibly canceled when the reservation number of person is less than 15. About 10 min walk from 「Abashiri Bus Terminal」 via JR Senmo Main Line 「Abashiri Station」. About 3 hours and 43 min from Asahikawa Station by Okhotsk・Oyuki Limited Express. 「Chikyu Misaki」 is the popular place where we can see the first sunrise of the year. Many locals and people from other city visit there on 1st in Jan. There is an observation Platform located about 140m height above sea level that allow us to see infinite pacific ocean and great first sunrise. Chikyu Misaki has been nominated as 「The best 100 superb view of Hokkaido」 and 「The best 100 of New Japan sightseeing spot」 and won the title of No,1. This cape is located in the southernmost of Etomo peninsula and about 140m height above sea level. The view from the observation there no doubt to be said it is awesome. The panorama view allow us to feel the roundness of the earth and we can observe even Shimokita peninsula in Aomori and Komagatake when it is sunny day. There is also hot milk service when we visit the first sunrise of the year. ※Since Sunrise Time is early morning, please check the public transport’s business hour in advance.